Mr Guillaume has a wide experience of over 30 years in international management and operations in the pharmaceutical industry as well as in the medtech. Drawing on his experience and knowledge in the field of medical devices and diagnosis, Mr Guillaume will advise and help the Company in its development. Alongside his role at Diafir, Richard Guillaume has been the General Manager of Echosens from 2008 until 2013. He was previously Executive Vice President Global Sales and Marketing at Blatchford, a UK medical device company. He was also member of the board. Prior, he held various positions such as Director Global Marketing of Abbott International in Chicago and Director Category Development Europe of Mead Johnson. Richard holds a Master in Business Administration from Poitiers University and a DESS in Marketing from Paris Dauphine completed by a general management program at INSEAD. 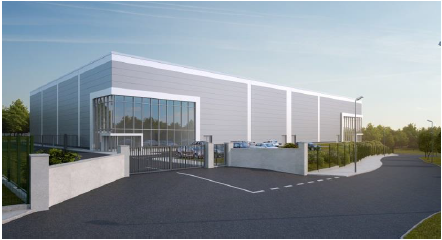 FREDERICA, DE, USA, 01-Nov-2018 — /EPR BIOTECH NEWS/ — ILC Dover, a global leader in flexible containment solutions for the pharmaceutical and biopharmaceutical industry is expanding its Irish production footprint by opening a location in Blarney, County Cork, Ireland. 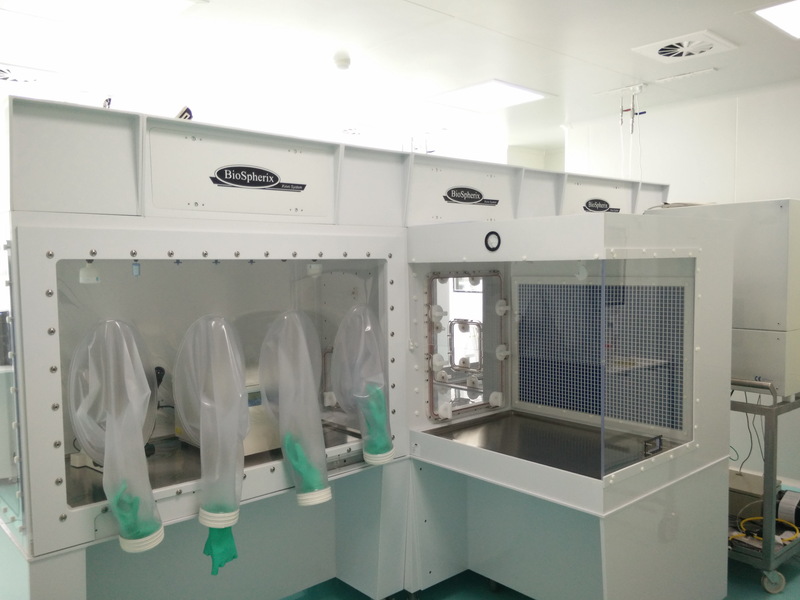 ISO 7 clean room capacity and 6,500 square feet of Class 8, both dedicated to the company’s pharmaceutical and biopharmaceutical product lines. When at full production, the company expects to hire 60-70 new ILC Dover employees. The company’s original operation in County Cork will be relocated to the Blarney site as part of the expansion project. LJUBLJANA, Slovenia, 21-Sep-2018 — /EPR BIOTECH NEWS/ — The latest study published in the World Journal of Urology (Comparison between erbium‑doped yttrium aluminum garnet laser therapy and sling procedures in the treatment of stress and mixed urinary incontinence – https://doi.org/10.1007/s00345-018-2445-x) provides further confirmation that Fotona SMOOTH® laser technology is a safe, effective and minimally-invasive solution for stress and mixed urinary incontinence (SUI and MUI). The article, written by Dr. Nobuo Okui, compares Fotona’s minimally invasive IncontiLase® Er:YAG laser therapy with the more conventional TVT and TOT surgical sling procedures. Los Angeles, California, 2018-Mar-26 — /EPR BIOTECH NEWS/ — Bristl combines proven science of light therapy with sonic vibration to improve oral care. The company also offers a subscription service to replace brush heads, so having the best oral health is also convenient. Visible Red light (620–750 nm in wavelength) has been clinically proven to heal gum tissue and prevent inflammation. The same technology is often used in skincare; Bristl is bringing it to the everyday tooth brushing routine. 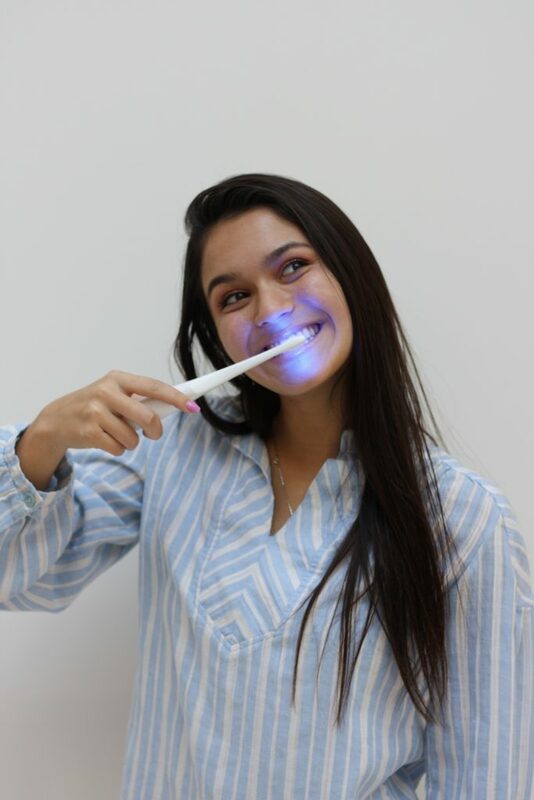 Visible blue light (450–495 nm in wavelength) has been clinically proven to kill and prevent oral bacteria that causes gingivitis and other gum disease. This safe and natural blue light is proven to be effective, and Bristl is proud to bring it to market. Bristl has three sonic vibration modes: regular, gentle, and off. Sonic vibration is recommended by dentists as it has the highest cleaning ability without damaging gums. The brush head is also particularly designed to reach in crack and crevices while letting light pass through the bristles. The Bristl Science team consists of a group of innovators and scientists looking to use advanced technology to improve everyday lives. While we of course wish to build a successful business, we are doing so responsibly; Bristl has committed to donating a percentage of every sale to America’s Toothfairy to provide underserved children with dental care. Whether a customer or an underserved child, we’re on a mission to maximize oral health everywhere. This is just the beginning. The Bristl Science team will work tirelessly to innovate and build products that improve lives, maximize health, and promote good. 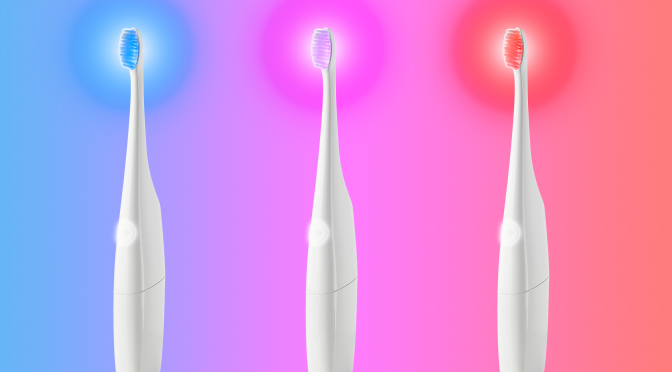 The Bristl light therapy toothbrush is just the first step toward a healthier future. LONDON, Dec-3-2017 — /EuropaWire/ — On December 5-6, 2017, 200 high-level experts from government, academia, biopharmaceutical developers and patient organisations convene in London (UK) to address the mounting challenge of accessibility and patient access to high-value, high-cost medical therapies. The not-for-profit executive forum is organised by the London School of Hygiene and Tropical Medicine and analytica|LASER, a global research consultancy, to investigate topical questions around drug policy, global health systems sustainability and innovation funding through a combination of case studies, panel sessions, and roundtables. Delegations are registered from over 70 public and private organisations, including the World Health Organization, as well as health systems representatives from Belgium, England, Estonia, Croatia, France, Germany, Italy, Norway, Sweden, the United States and Wales. Multiple patient organisations support the meeting to ensure that the patient voice is reflected in all deliberations. “Access to life-saving drugs is not a new challenge. The paradigm of accessibility was changed completely in the face of the deadly HIV epidemic. This time, however, accessibility concerns almost every domain of medicine such as cancer, auto-immune diseases and rare diseases. We must act now,” says Prof Peter Piot, Director of the London School of Hygiene & Tropical Medicine and former head of UNAIDS. “There is an incredible challenge for the sustainability of health systems across the world”, says Prof. Lucien Abenhaim, London School of Hygiene & Tropical Medicine and Chairman of Analytica Laser. “It is critical that drug developers and health system engage on actionable proposals that address concerns around value, cost and overall access to innovation for the patients who need it. We are at an inflection point – the paradigms of the 1990’s can no longer guide us,” he adds. Yann Le Cam, CEO of EURORDIS-Rare Diseases Europe, an alliance of over 700 rare disease patient organisations, commented, “The majority of people living with a rare disease have delayed or no access to the medicine they need. Only through a collective engagement between all stakeholders involved, including industry, competent authorities, health ministries, academics and regulators, can we break the access deadlock.” Le Cam will be presenting a new four-pillar approach to improve access to rare disease therapies in Europe. The main plenary on December 6th features scheduled remarks by over a dozen authorities in the field, including Professor Baron Peter Piot (Director, London School of Hygiene & Tropical Medicine and former Head, UNAIDS), Dr. Olivier Brandicourt (Chief Executive Officer, Sanofi), Dr. Sarah Garner (World Health Organization), Prof. Dominique Le Guludec (President, French HAS), Sir Andrew Dillon (Chief Executive, National Institute for Health and Care Excellence UK) and Dr. Harold Paz (Chief Medical Officer, Aetna). 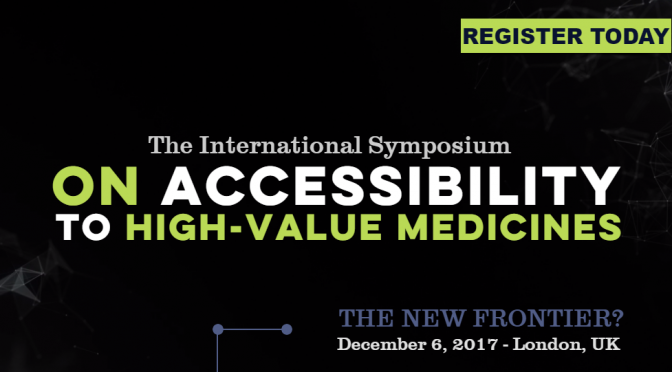 The plenary is preceded by a scientific seminar on December 5th which gathers globally renowned academics to explore new frontiers on the methodology for the appraisal and valuation of high-value medicines. New York, 2017-May-02 — /EPR BIOTECH NEWS/ — S-Acquisition Corporation is today commencing its tender offer for all 10,000,000 shares of Second Round financing of Common Stock of Astra Logics Inc., Hong Kong, at a price of US$7.00 per share, payable in cash. The offer, which has been unanimously approved and recommended by Astra Logic’s Board of Directors is being made pursuant to the agreement between the two companies. The tender offer, which is currently scheduled to expire at 12:00 midnight EST on Thursday, June 1st, 2017 (unless extended) is subject to the tender by Astra Logic’s shareholders and would represent a majority of the outstanding shares on a fully diluted basis, as well as other customary conditions. Astra Logics, Inc. aims to become a leader in advanced drug delivery systems with Graphine Oxide being the key component. After extensive research and testing the firm’s proprietary protocols are now nearing completion of initial phase clinical trials in Hong Kong. Ken Holland, Head of Corporate Affairs for Astra Logics said, “When completed, this tender offer provides the company with substantial cash reserves allowing for continued product development. Institutional sponsorship is critical to strengthening our market position for the long term”. S-Acquisition Corp’s Director of Bio-Pharm Transactional Services, Mr. Craig Kirkman, stated “Astra Logics’ unique delivery platform offers tremendous upside potential in a sector providing boundless opportunity for return. Our firm shares the same long-term vision and commitment necessary to allow the company to progress”. S-Acquisition Corp. is a global corporate advisory with expertise in mergers and acquisitions, capital markets, financial restructuring, valuation, and strategic consulting. The firm serves corporations, institutions, groups and individuals worldwide and has its headquarters located in the United States. Astra Logics, Inc. is an independent biotech firm based in Hong Kong with a focus on the research and development of Nano-particle, bio-therapeutic drug delivery systems for the treatment of cancerous tumors, in particular lung cancer. The firm’s core objective is to deliver highly innovative cancer therapies that currently have few, if any, effective treatment options. GERMANY, Mar-30-2017 — /EPR Biotech News/ — Ulcerative colitis and Crohn’s disease are the most common inflammatory bowel diseases (IBD). Globally, more than 4 million people suffer from recurring inflammation of the intestinal mucosa. To date, non-invasive methods have not been able to detect these forms of IBD reliably. 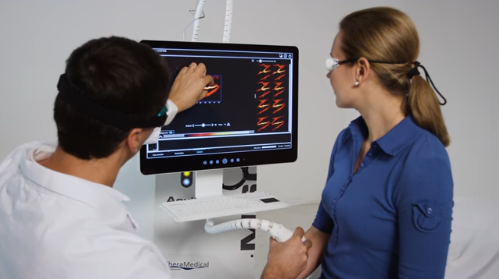 Researchers at the University Hospital Erlangen (Germany) have now shown for the first time how Multispectral Optoacoustic Tomography (MSOT) can more reliably detect early stages of inflammation when compared with other non-invasive diagnostic methods. These results have recently been published in the New England Journal of Medicine. Evaluating the inflammatory activity of the intestines early and accurately helps to prevent complications associated with IBD and guide an optimal therapy regime. Currently, doctors frequently rely on an invasive endoscopy procedure to assess the intestinal mucosa of patients with IBD. Additionally, non-invasive imaging methods are increasingly used in the clinic. For example, ultrasound allows clinicians to examine the structure, thickness and blood perfusion of the intestinal wall with changes in perfusion patterns indicating an onset of inflammation. “With the MSOT procedure, we additionally use laser light, by which we can detect inflammation earlier than previously possible with ultrasound”, explains Prof. Dr. Maximilian Waldner, Professor at the University Hospital Erlangen. “The earlier we detect signs of an upcoming flare – i.e., a change in blood content – the quicker we can react and start a preventive treatment”. The MSOT technology was developed by iThera Medical in Munich, and was first used on IBD patients last year. The researchers of the University Hospital Erlangen have recently published their results in the renowned New England Journal of Medicine. “We examined 108 patients with Crohn’s disease using the MSOT technology and compared the results to established non-invasive diagnostic procedures as well as endoscopy and histology”, says Prof. Waldner. “We were able to demonstrate that hemoglobin values in the tissue measured with MSOT indicate very accurately the inflammatory activity in the intestines. The method appears to be superior to other non-invasive procedures, as MSOT for the first time was able to detect even low levels of inflammation without having to perform endoscopy”. In optoacoustic imaging, the physician scans the intestines transabdominally through the skin, applying pulsed laser light in the near-infrared region. The energy of the light absorbed in tissue is converted into acoustic signals which are then acquired by an ultrasound detector. Christian Wiest, CEO of iThera Medical, comments: “MSOT is a new diagnostic imaging modality that can detect changes in tissue composition associated with a variety of diseases, without the use of contrast agents. The technology has already been applied in other clinical feasibility studies, e.g. for the detection of melanoma metastasis in sentinel lymph nodes or for the assessment of suspicious breast lesions”. The results of the IBD study at the University Hospital Erlangen were published on March 30th 2017 in the New England Journal of Medicine (Volume 376, Issue 13, pg.1292-1294). Minnetonka, MN, 2016-Nov-14 — /EPR Biotech News/ — Today at Nu-Tek Bioscience announced the completion of an outside study comparing various protein sources on the enhancement of Cell growth using E. Coli. The study was completed by The University of St. Thomas. 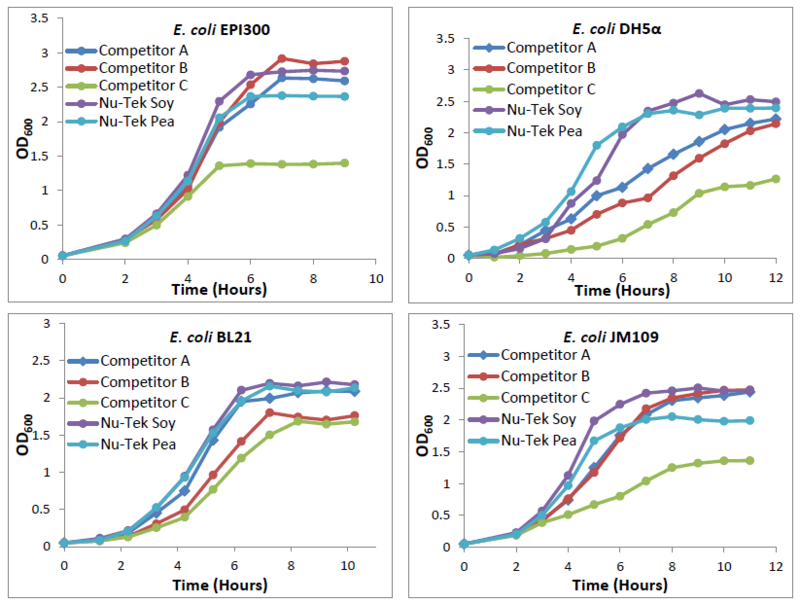 Nu-Tek HSP (Hydrolyzed Soy Protein) and HPP (Hydrolyzed Pea Protein) peptones showed the least strain dependent variability in growth performance. In contrast to competitor peptones showed poorer performance. This has been an ongoing issue with media developers to minimize the variation from lot to lot in Peptones. Nu-Tek Bioscience has developed a technology that promotes reduction in variability. Blending HPP (Nu-Tek’s Bioscience Hydrolyzed Pea Protein) with a weakly performing peptone supports growth of the weakly performing peptone to the level of performance of the HPP alone. The study has shown excellent growth performance results that compare favorably with soy peptones, pea peptones and yeast extracts. In addition, peptones have been shown to improve fermentations versus yeast extract “only” growth media. Founded in 2008, Nu-Tek Bioscience LLC is the worldwide manufacture and developer of specialty Peptones that have been designed to enhance Cell growth. The company offers a wide range of Peptones and Yeast Extracts designed to promote increased cell growth. Seattle, WA, San Francisco, CA and Moscow, Russia, 2016-May-25 — /EPR Biotech News/ — R-Pharm and GenQual are pleased to announce a new collaboration focused on the development of novel predictive diagnostic tools in the area of Rheumatoid Arthritis and Autoimmune diseases. The GenQual proprietary real-time PCR platform, when applied to the genes that are involved in the manifestation of several autoimmune diseases, allows us to detect and assess single nucleotide polymorphisms. Here, allelic determination is used as potential predictor of the treatment response by the novel anti-IL6 antibody, which is currently in development by R-Pharm. R-Pharm CEO Vasily Ignatiev indicated the importance of the Autoimmune diseases as an area of the development and growth for R-Pharm, as well as the development of novel diagnostic tools aimed to increase the level of predictive response and efficiency of the upcoming treatment paradigm. GenQual develops proprietary biomarker diagnostics for autoimmune and oncology indications. Our personalized medicine products are designed to facilitate early disease detection and diagnosis, and to improve treatment approaches at the molecular level. GenQual is a privately-held corporation based in Seattle, WA area, USA. R-Pharm is a private Russian pharmaceutical company founded in 2001. It employs over 3,500 highly qualified specialists in 60+ branches. R-Pharm operates in Russia and CIS, USA, Germany, Japan, Turkey/MENA. The company is involved in R&D, manufacturing (finished dosage forms, biotech and chemical APIs), marketing, sales and distribution of innovative pharmaceutical products in hospital/specialty care therapeutic areas. R-Pharm collaborates with major international pharmaceutical companies and universities in the fields of drug discovery, development, clinical trials, manufacturing and commercialization. The company operates several GMP compliant manufacturing sites in Russia and Germany, research, BD/licensing and marketing affiliates in Japan, Germany, Turkey and US. Marketed portfolio and pipeline features drugs used in oncology, hematology, autoimmune diseases, HIV, HCV, neurology, diabetes, cardiology, as well as antibiotics, contrast media and anesthesia agents. 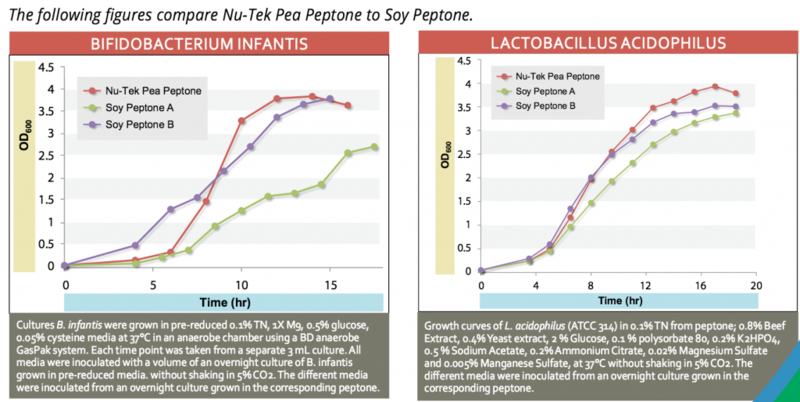 Minnetonka, MN, 2016-May-10 — /EPR BIOTECH NEWS/ — Nu-Tek’s Pea Peptone is an excellent alternative to Dairy and Soy Peptones for the production of probiotic cultures. Consumers with known food allergies rely on ingredient labeling for guidance. An Allergen Control Plan is a critical component of a food ingredient manufacturer’s safety initiatives. It not only protects the health and confidence of the consumer, but also the reputation and financial success of the company. An advantage of allergen management strategies include ingredient selection that eliminates allergens without negatively affecting the performance of the product. Formulating growth media using Nu-Tek Pea Peptone provides such an advantage. Nu-Tek Pea Peptone HPP-A is an excellent source of natural nitrogen and necessary growth factors needed for optimum probiotic culture fermentations. Our Kosher Pea Peptones are obtained through enzymatic hydrolysis of Animal free and Non-GM pea protein. Pea protein hydrolysates do not require special allergen labeling. Independent university trials have shown excellent growth performance results that compare favorably with soy peptones. In addition, peptones have been shown to improve fermentations versus yeast extract “only” growth media. Today at Nu-Tek Bioscience announced immediate availability of Pea Peptones, enabling developers of probiotics to either enhance their current culture growth rate. Pea Peptones is an update driven by customer feedback and is part of Nu-Tek Bioscience’ continuing development of new technologies. Founded in 2008, Nu-Tek Bioscience LLC is the worldwide manufacture and developer of specialty Peptones that have been designed to enhance Cell growth. The company offers a wide range of Peptones and Yeast Extracts. Tucson, Arizona and Grambach, Austria, December 03, 2014 — /EPR BIOTECH NEWS/ — VTU Technology and Research Corporation Technologies (RCT) announced today that they have entered into a development and commercialization agreement for VTU to combine both companies´ Pichia pastoris protein production technologies. Pichia GlycoSwitch® – a new expression system for the production of glycoproteins with human-like glycosylation patterns – and VTU´s yield enhancing Pichia pastoris expression platform are now available in one package from VTU. This unique combination of technologies acting synergistically is of great benefit for customers as it leads to a high performance production platform for recombinant glycoproteins with superior product yields and uniform Man5 – or other human-like glycoforms. 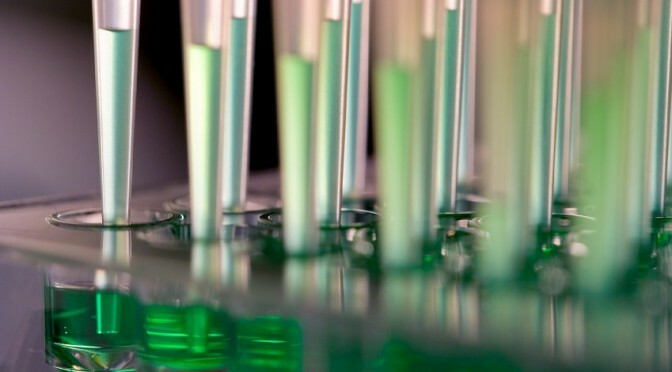 Under the terms of the agreement, RCT grants VTU Technology access to RCT´s Pichia GlycoSwitch® expression system for combination with VTU´s in-house high-yielding Pichia platform featuring different proprietary technologies such as AOX1 promoter libraries suited for both methanol-induced and methanol-free production. VTU Technology is now offering the combined technology suite as part of the company´s expression strain and corresponding bioprocess development contract services portfolio. “We are delighted to offer Pichia GlycoSwitch® engineered with our broad portfolio of Pichia tools in this partnership with RCT and I am convinced that our yield enhancing technologies will give GlycoSwitch® an exciting extra edge for the production of glycoproteins with Man5 – or other human-like glycoforms”, states Thomas Purkarthofer, Ph.D., Head of Business Development of VTU Technology. “Our partnership with VTU Technology brings together two technologies that will enable customers to uniquely tailor the glycosylation of their target protein and explore new biological functions. We are looking forward to working with VTU Technology to expand the potential of proteins manufactured in Pichia GlycoSwitch®”, states Kurt R. Gehlsen, Ph.D., Vice President and CSO of Research Corporation Technologies, Inc.
Pichia pastoris is a yeast widely used for recombinant protein expression. As a microbial eukaryotic organism, Pichia combines the post-translational modification systems similar to those found in mammalian cells, with the ease of use/manipulation of E. coli. Decades of processes development have been focused on efficiently growing Pichia to extremely high cell densities; and multiple generations of molecular biology tools have been created to engineer strains to produce tens of grams/liters of a recombinant protein product. Pichia can secrete high levels of properly folded, functional proteins into a simple, defined medium for easy purification. There have been more than 20,000 publications on the use of Pichia for the production of more than 5,000 proteins, with more than 70 products manufactured in Pichia on the market today. Pichia products include enzymes manufactured in 200,000-liter fermenters and two FDA-approved therapeutics. Pichia GlycoSwitch® is a recombinant protein expression system that broadens Pichia’s applications to glycoproteins where N-linked glycosylation is important for biological function. Pichia GlycoSwitch® offers researchers the ability to control the glycosylation (sugar addition) of recombinant glycoproteins and explore the role of protein glycosylation and various glycan structures on protein function. Pichia´s typical high-mannose glycan patterns can also be eliminated to reduce immunogenicity caused by the unwanted hyperglycosylation. The Pichia GlycoSwitch® system consists of patents, strains and vectors that are useful for making proteins with a number of different human-like glycoforms. For additional information about Pichia, please visit www.pichia.com. 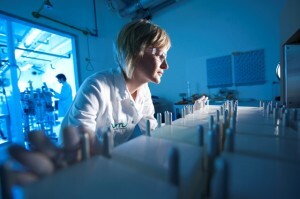 VTU Technology, a leading contract research and development company, offers the broadest toolbox and most versatile technology platform available for Pichia pastoris recombinant protein expression / production enabling highest productivities delivering up to 22 g/L of secreted protein within a few weeks development time. VTU Technology´s powerful Pichia pastoris protein expression technology is based on its optimized gene design and cloning strategies, proprietary AOX1 promoter libraries & in-house expression platform and high-throughput screening & cultivation regime, combined with excellent know-how in fermentation and downstream process development. Headquartered in Grambach/Graz, Austria, VTU Technology is a private company and a subsidiary of VTU Holding, an Austrian enterprise that combines several technology and engineering companies in chemistry, pharma & life science as well as power and fuel industry. For additional information about VTU Technology, please visit www.vtu-technology.com. RCT is a Tucson, Ariz.-based technology investment and management company that provides early-stage funding and development for promising biomedical companies and technologies. RCT focuses on technology investments with origins from universities and research institutions worldwide. RCT’s technology portfolio includes platforms and tools that support the discovery, development and manufacturing of therapeutics. Current platform technologies include Pichia and E.coli protein expression systems and novel protein binding scaffolds. To learn more about RCT, see www.rctech.com and www.pichia.com. Toronto, Canada, December 01, 2014 — /EPR BIOTECH NEWS/ — ViroCarb Inc. has launched a worldwide crowd funding campaign to promote the development of its new HIV infection inhibitor. Despite the great progress made in HIV/AIDS treatment, there is still an urgent need for new drugs, particularly for people who have had to abandon existing treatments due to HIV drug resistance and side effects. The current treatment of HIV/AIDS involves the use of three or more drugs from five main general classes, used in combination. While this antiretroviral therapy (ART) has helped to reduced morbidity and mortality from AIDS, long term toxicity and the emergence and transmission of drug resistant HIV strains limit the effectiveness. Thus, despite therapy which can render this a chronic, rather than acute fatal infection, development of new drugs to prevent infection and overcome drug resistant strains, is increasingly urgent. ViroCarb Inc. is developing a novel technology that addresses infections by drug resistant HIV strains. Developed from the identification of a new, natural resistance factor against HIV infection by scientists at SickKids and Canadian Blood Services, ViroCarb’s inhibitor works against a previously overlooked target on the virus to block HIV from entering human cells, the very first step in the infection. It works against all HIV strains. Funds are needed to aid in moving forward to support preclinical studies; therefore ViroCarb Inc. has started an international crown funding campaign to carry out these HIV model studies needed before conducting clinical trials. Please support this new way to block HIV. AIDSantiretroviral therapydrug resistanceHIVHIV/AIDS treatmentnew therapyViroCarb Inc.
HD Biosciences Co., Ltd. (HDB) and E. J. Corey Institute of Biomedical Research (CIBR) announced that they have reached a risk-sharing agreement on collaborative drug discovery and development in the therapeutic areas of infectious diseases, metabolic diseases, and oncology. This joint effort will focus on both international and Chinese markets to provide innovative medicines for unmet healthcare needs. The agreement includes lead candidate selection pre-clinical development, IND filing, clinical trials, and NDA approvals. Both companies will share financial returns from any successes or products launches. About HD Biosciences Co., Ltd.
Axcellerate Pharma establishes CMO/CRO and API manufacturing facility in New Jersey, US. Focus will be small molecule and biologics PR&D, innovative technology platforms, filling vial and bag operations, peptide synthesis, oligonucleotide production and related areas. Axcellerate Pharma LLC (“Axcellerate”) is a JV set up by TCG Lifesciences USA LLC, an affiliate of TCG Lifesciences Limited, a leading CRO engaged in drug development and clinical trial services; with Dilip Mehta, Founder & CEO of PANORAMA Consulting and Engineering, Inc., a leading developer of lab scale to GMP manufacturing facilities; and Alfagen Pharma LLC, an affiliate of AlfaGene Bioscience, Inc., an innovative biotechnology company. The facility houses state-of-the-art technology/equipment/ infrastructure and is supported by leading industry personnel from each of the partner firms. “We will initially target specialized CMC and CMO activities that are time sensitive and high value in nature, that are desirable to be located geographically close to our clients. Axcellerate intends to leverage the strong scientific talent pool, end-to-end capabilities and PR&D/intermediate production facilities of TCG Lifesciences Limited in India to support its operations. This opportunity represents another significant milestone for TCG Lifesciences’ continued expansion,” commented Swapan Bhattacharya, Managing Director of TCG Lifesciences “as this strategic alliance will expand TCG Lifesciences’ geographic footprint and enable us to service clients in the US with a local presence while being supported globally”. “AlfaGene Bioscience has developed proprietary assay platforms in a range of therapeutic indications and has a scientific team with extensive experience in biologics and biomedical research. We also have a network of global relationships in the API arena to bring to bear for the success of Axcellerate”, remarked Mayur Doshi, President and CEO, AlfaGene Bioscience. HD Biosciences Co., Ltd (HDB) and Anchor Therapeutics, Inc. today announced that they have formed a strategic collaboration to co-develop and co-market Anchor’s proprietary pepducin technology and provide novel drug development solutions to global pharmaceutical companies with drug discovery efforts focused on G-protein coupled receptors (GPCR). Pepducins are proprietary lipidated peptide modulators for GPCR signaling. They may stabilize receptor conformation, promote or inhibit dimerization, and modulate interaction of GPCR with signalosome. As a strong research tool, pepducin technology enables high throughput screening (HTS) campaigns for the identification of special class of compounds and allosteric ligands, facilitates biophysical studies via stabilization of GPCRs in different activation states and functionally de-orphanizes GPCRs to provide tools for interrogation of pharmacology in vitro and in vivo. As a key component of HDB’s plate-based pharmacology service capabilities, GPCR assays and screenings is one of the most active research and development areas that attracts global clients and partners in drug discoveries. With over 200 recombinant GPCR cell lines in house, some of which are orphan receptors, combining a variety assay formats with pepducin technology allows HDB to enhance its capabilities for supporting hit identification, lead discovery and receptor selectivity profiling. The collaboration is also designed to provide broader exposure and accessibility of pepducin technology across pharmaceutical and biotechnology industries through HDB’s global client base. HDB’s clients will gain unprecedented access to not only the pepducin screening platform but also HDB-Anchor’s joint expertise in GPCR research. “Anchor’s pepducin technology has provided a novel approach to search very special GPCR related compounds that have potential to alter the receptor functions. We believe this technology will be very valuable in GPCR related drug discovery.” commented Dr. Xuehai Tan, President and Chief Executive Officer of HDB. “As one of the global leaders in biology focused contract research services, HDB emphasizes on innovative and scientific driven technologies in order to deliver extra value to our clients. The partnership between HDB and Anchor is a perfect example to demonstrate our commitment to grow the expertise and strengthen our leadership in GPCR R&D.” Dr. Tan continues his comments. LC Sciences, LLC, a leading provider of microRNA analysis services, today announced the launch of a new online searchable knowledgebase that researchers can use to locate technical information on the company’s website. This announcement comes on the heels of the launch of LC Sciences’ re-designed company website last week. 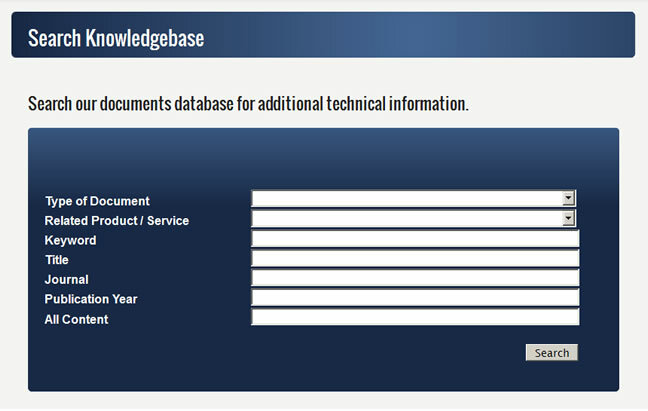 The knowledgebase contains technical information in the form of application notes, technical bulletins, customer publications, presentations, reviews of seminal publications in the field, etc. This documents database contains over one thousand entries and encompasses a wide range of research fields; from plant science to neuroscience. Additionally, all entries have been carefully meta-tagged to improve search results. Kurt Dieck formerly SVP of Strategy and Business Execution at Cardinal Health, will lead early stage drug discovery business at Biosortia Pharmaceuticals. Dieck was named President and CEO in November 2012 and has quickly identified other key executives, including Dr. Guy Carter, former Natural Product head at Wyeth Pharmaceuticals, as his Chief Science Officer. In conjunction, other collaboration partners have joined the team, including NOAA (National Oceanic and Atmospheric Administration), NCI (National Cancer Institute) and key universities, to strategically accelerate the development of novel drug leads in the therapeutic areas of cancer, infectious diseases, inflammation and neurological disorders. Biosortia Pharmaceuticals has seen promising early results with dozens of novel compounds having already been requested, and are under evaluation with NCI and Eli Lilly. Dieck has spent nearly 30 years in healthcare, including 18 years at Arthur Andersen as a global equity partner and then 10 years with Cardinal Health, a Fortune 20 public company, as a senior executive; there he worked with a broad spectrum of partners, including brand pharmaceutical manufacturers, throughout the supply chain. Dr. Guy Carter has over 30 years of experience working in pharmaceutical R&D, primarily in the discovery and development of microbial natural products. He previously was the leader of natural products drug discovery at Wyeth Research, as head of the Chemical Technologies Department. Industry observers have commented that late-stage R&D pipelines are not providing Pharma with the desired revenue growth the market is expecting. Therefore, large Pharma is evolving the way it performs R&D in order to optimize efficiency and to boost patent cliff defenses. These changes require shifting from relying solely on in-house chemistry-based R&D to acquiring and licensing external technologies and natural products based compounds in various stages of development. Biosortia’s ability to supply novel, highly active and potent compounds with drug-like characteristics will increase the productivity and success rate for Pharma as well as reduce the overall cost of the discovery process. The cost to discover, develop and launch a new drug is estimated to reach nearly $3B per drug by 2015. Biosortia’s business model is designed specifically to support Pharma’s needs. As of December 31, 2012, Biosortia has identified more than 30 bioactive candidate compounds (hits) from a fresh water eutrophic lake consortium. Therapeutic areas of focus include treatments for cancer, infectious diseases, inflammation and neurological disorders. In addition, more than a dozen of its patent protected compounds are in initial evaluation stage within Eli Lilly’s Open Innovation Drug Discovery Program. Microtissues® Inc. announced today the signing of a Supply and Distribution Agreement with Sigma-Aldrich® Corporation (Nasdaq: SIAL) for the worldwide sales and marketing of the 3D Petri Dish®, a new technology for the culture of living cells in three dimensions (3D). Invented at Brown University, the 3D Petri Dish® maximizes cell-to-cell interactions critical for replicating the function of natural tissues and organs. Shown in numerous peer reviewed papers to work with over fifty different cell types, including cell lines, primary cells and stem cells, the 3D Petri Dish® has applications in cancer research, drug discovery, toxicity testing and regenerative medicine. Unlike the conventional plastic Petri dish where cells are grown as a thin layer on the surface of the dish, the 3D Petri Dish® forms 3D aggregates of cells. Spheroid size is controlled by the number of cells seeded and hundreds of uniform sized spheroids are formed in a single pipetting step. Spheroids are formed in a well ordered array in a stable platform suitable for long term culture. All spheroids are positioned on the same optical plane making them easy to image (phase contrast, fluorescent). Spheroid size is controlled by the number of cells seeded and a mixture of cells forms mixed spheroids, suitable for investigating tumor-stroma interactions. Spheroids can be grown from single cells, applicable to the study of cancer stem cells. For histology, Western blots and RT-PCR, spheroids are harvested by simply inverting the 3D Petri Dish®. No need to dissolve or digest the gel. The 3D Petri Dish® is a new fundamental tool for the world wide industry of life sciences research. About Sigma-Aldrich®: Sigma-Aldrich® is a leading Life Science and High Technology company whose biochemical, organic chemical products, kits and services are used in scientific research, including genomic and proteomic research, biotechnology, pharmaceutical development, the diagnosis of disease and as key components in pharmaceutical, diagnostics and high technology manufacturing. Sigma-Aldrich® customers include more than 1.3 million scientists and technologists in life science companies, university and government institutions, hospitals and industry. The Company operates in 38 countries and has nearly 9,000 employees whose objective is to provide excellent service worldwide. Sigma-Aldrich® is committed to accelerating customer success through innovation and leadership in Life Science and High Technology. For more information about Sigma-Aldrich®, please visit its website at www.sigma-aldrich.com. About Microtissues® Inc: Microtissues® Inc. is a privately held company located in Providence, RI, advancing technologies and applications of 3D cell culture. Microtissues®, Inc.’s products are designed to serve the needs of researchers in a wide range of areas including cancer research, stem cell biology, toxicity testing, developmental biology, drug discovery, regenerative medicine and tissue engineering. Microtissues®, Inc. has an exclusive worldwide license from Brown University to US and international patent applications on the 3D Petri Dish®. For more information on Microtissues®, Inc., please visit www.microtissues.com. Sigma-Aldrich and Sigma are trademarks of Sigma-Aldrich Co. LLC registered in the US and other countries. Microtissues and 3D Petri Dish are registered trademarks of Microtissues, Inc.